1. There is a right way and wrong way to feel in every situation. This is untrue. Everyone experiences different emotions about the same event because their interpretation of that event will vary. Your emotional response will also depend on many factors, such as your involvement in the situation, your relationship to others involved your state of mind before the event took place and so on. It is important to remember that emotions are not good or bad, right or wrong; however you feel in a situation is the way you should feel. 2. It’s not good or healthy to feel angry. Myth. Anger is a natural human emotion. It serves a purpose; therefore, it is good, and it is healthy. What may not be positive or healthy is the ways that you are expressing it. 3. Happy or emotionally healthy people don’t experience painful emotions. This is not true! Even the happiest people have pain in their lives sometimes. Life is about the good and bad, pain and joy. Life is naturally going to have painful moments, regardless of how happy or well-adjusted the person is. 4. Feeling sad is weak. Again this is another myth. Emotions arise for a reason, to motivate you to change something, to help you communicate and so on. The emotion is normal and healthy. You response to the emotion might be health and if this is the case, that is what you need to focus on. What would be the healthier course of action that could help you cope with this intense emotion? 5. Painful emotions are destructive. False. It is not the emotion that is destructive. It is how you chose to act because of the emotion. For example, feeling anger does physical hurt you or anyone else, it is when you choose to act in a violent physical way because of the anger that people get hurt. Were you able to identify any faulty beliefs that may be causing difficulties in your life? If so, I hope that you can feel empowered to start making small changes. 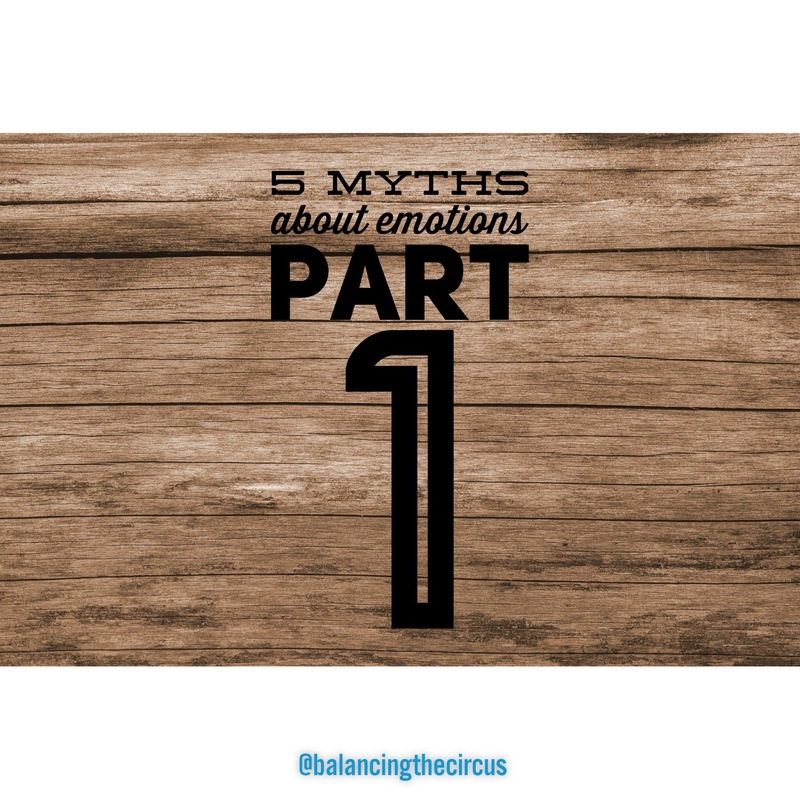 If you found these top 5 myths helpful, don’t forget to check back in with Balancing the Circus next week for myth about emotions 6-10. Reference: Van Dijk, S. (2012). Calming the Emotional Storm:using DBT skills to manage your emotions and balance your life.